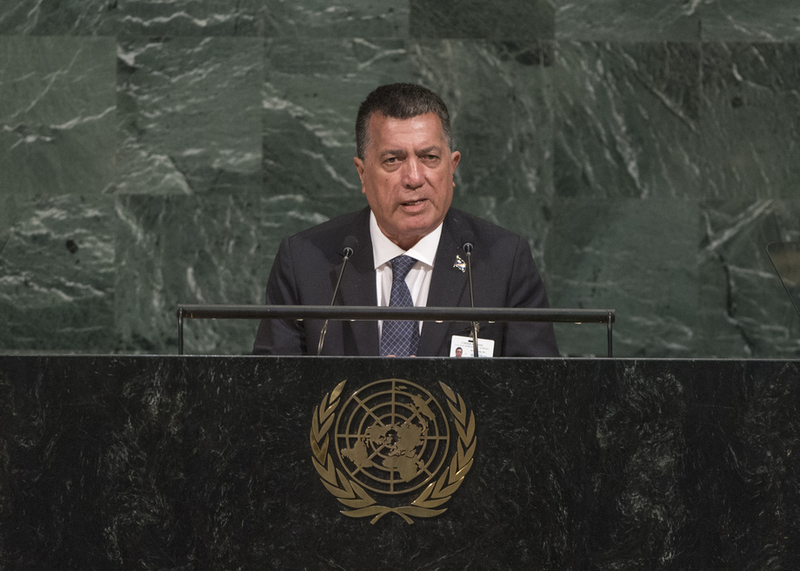 JOHN SILK, Minister for Foreign Affairs of the Marshall Islands, said that recent events regarding the Democratic People’s Republic of Korea and its growing nuclear threat must serve as an obvious mandate for strong and urgent global cooperation and effective action. He condemned recent nuclear tests because his nation knew the impact of such actions first hand. The 67 nuclear tests conducted between 1946 and 1958 had produced a legacy burden which he hoped no other nation or people should ever have to bear. He supported those nations who were able to affirm the Treaty on the Prohibition of Nuclear Weapons, and he was committed to a close and inclusive examination of his country’s own participation in the Comprehensive Nuclear-Test-Ban Treaty. On climate change, he said that no credible scientist would be able to say that it was not real. What he saw with his own eyes in the low-lying Marshall Islands revealed a real and present threat to its survival and security as a nation and member of the United Nations. He welcomed the Paris Agreement’s entry into force. It was a truly lasting, ambitious, long-term agreement, and confidence in it should not be shaken by any short-term bumps. The recent United Nations Conference to Support the Implementation of Sustainable Development Goal 14 was a “watershed moment of political will”, he said. Pacific small island developing States had sounded the alarm on the condition of the world’s oceans. The Marshall Islands, as a party to the Nauru Agreement Concerning Cooperation in the Management of Fisheries of Common Interest, had the potential to effect a change in the world tuna market, which would aid the country’s economic trajectory and boost global food security along the way.